Welcome families to our Baleal camp! It is already a tradition for us to welcome all the families from all over the world, for an active, fun vacation to meet great traveling companions and share with the whole family every moment of the holiday! As families are always looking for situations that are ideal for everyone, from a non-surfer mommy to younger children we thought of a special proposal, not only in price but also in search of safe spots and conditions for the youngest with instructors dedicated to children, for an unforgettable experience. 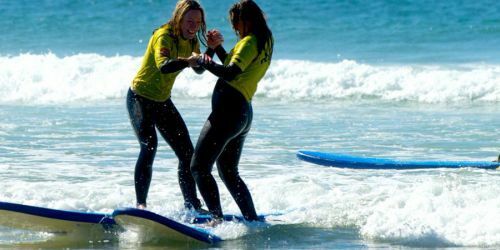 Important: The week goes from SUNDAY to SUNDAY, as the surf course starts on Monday! Peniche is about 1 hour away from Lisbon International Airport (LIS). The Lisbon airport is connected by international flights from around the world and also by low-cost European flights. 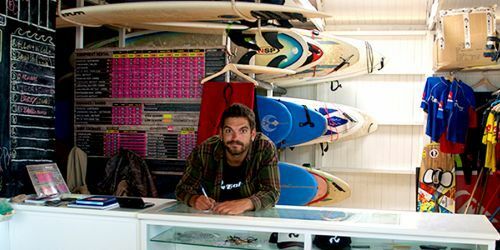 Rent-a-car: We recommend renting a car to reach our surfcamp in Baleal, Peniche. Direct Transfer: If you prefer, we can pick you up at the Lisbon Airport, with an additional cost. Public transports: If you prefer to travel by public transport, from Lisbon to Peniche there is a rede expressos bus line. The journey takes about an hour and a half. Find the timetables and prices here http://www.rede-expressos.pt. Once you arrive at the Peniche bus station, call us and we'll pick you up for free. Portugal is part of the European Union. An European identity document is sufficient to travel in and out the country. Healthcare is free for the European health card holder. 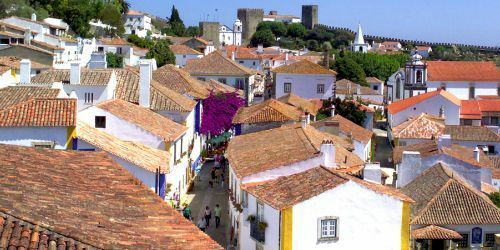 Most nationalities out of European Union do NOT need a special visa to go to Portugal. It is recommended to take various copies of your passport with you, if the original gets lost. Public and private hospital structures have high standard level, however, we recommend traveling with an international travel insurance if you are NON European citizen.